Chinese New Year is celebrated in many ways. Some celebrate with fireworks, others with good food, family and good company. But, is as often the case with factory workers, one of the most popular ways to celebrate Chinese New Year is to quit their job! It is generally recognized that worker turnover just before and after CNY is highly disruptive. There is a real cost to replacing workers, particularly the best ones, and dealing with the time needed for new workers to become truly productive. Improving worker retention is the solution. There are nearly nine months until the next Chinese New Year’s. This is ample time to delve into the collective workers’ psyche and understand what motivates them to stay and leave and then organize initiatives to try to do something about it. Could worker satisfaction increase with minor expenditures such as a protective canopy on the bike racks or wi-fi in the dormitory or a more expensive solution of paid travel back to the factory after CNY. Whatever the idea, there is time to discover what these are. 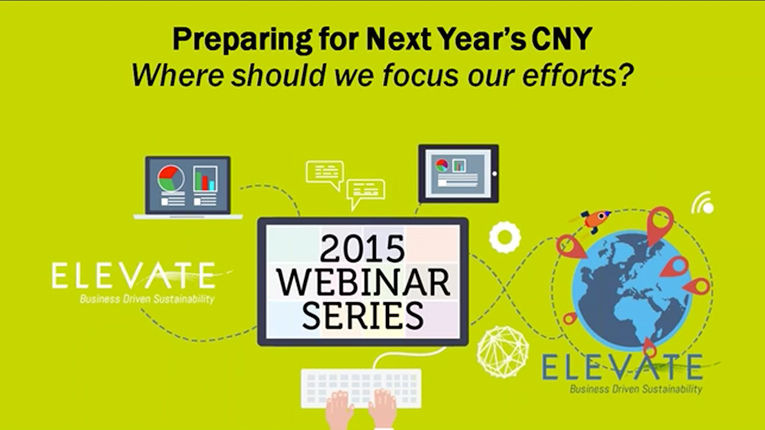 This webinar will explore the process to structure a CNY worker retention project, from building the survey, follow-up interviews, prioritizing the opportunities identified, estimating the potential impact, executing the plan and administering another survey before CNY to gauge sentiment. Come join this webinar – it will be a true “how-to” session.